Fussbett in laminated calfskin. Two-band fussbett with non-removable fringes and upper part in contrasting color. 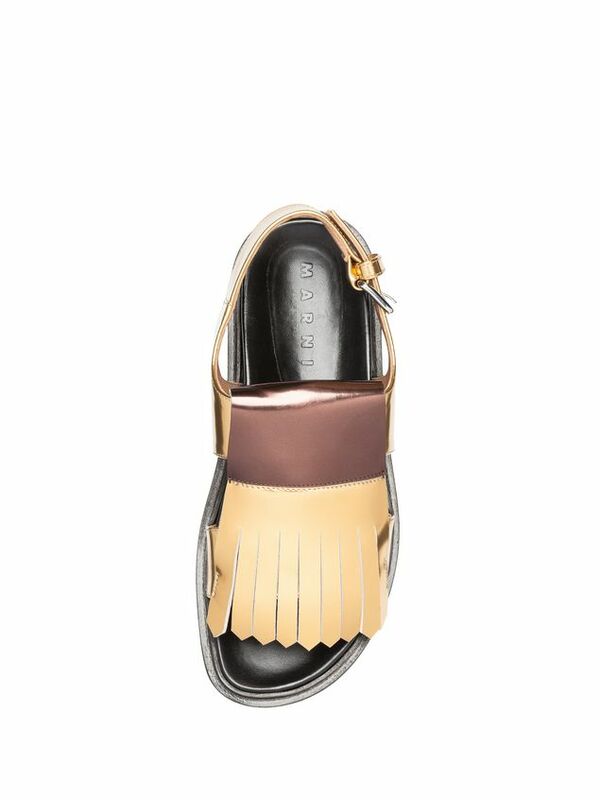 Set onto anatomic insole and rope-and-rubber sole, an exclusive for Marni. 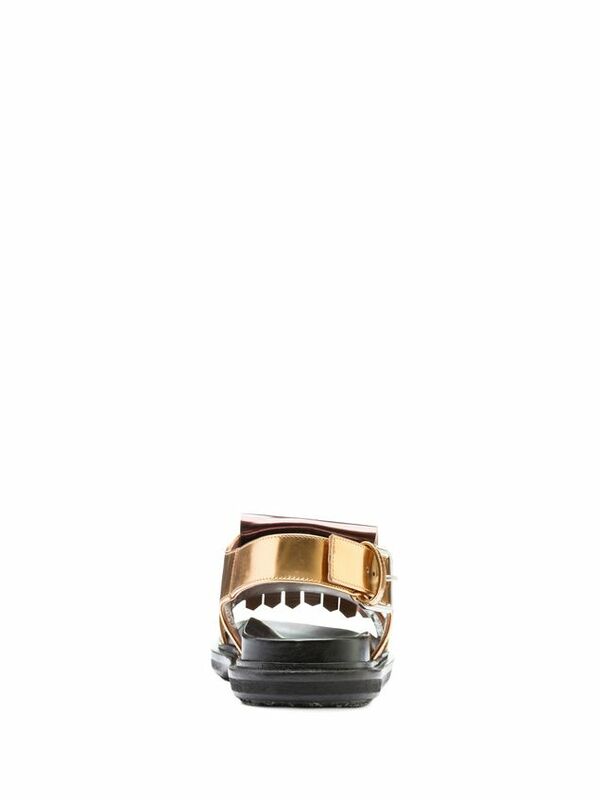 Sling-back closure with metal buckle.